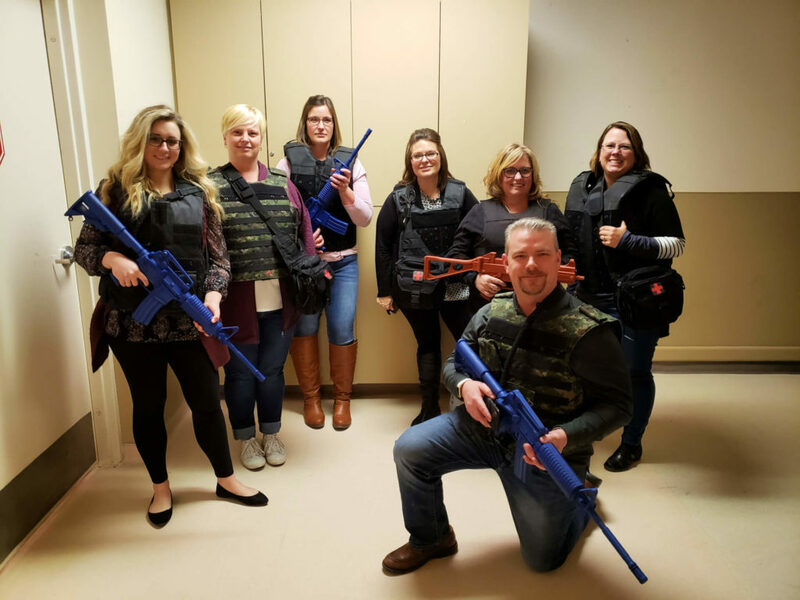 This post was written by Team Collective Impact, made up of LDA 2018-19 participants: Al Herbst, Johnson Bank; Dawn Gurney, SSI Technologies; Amy Spoden, County of Rock; Tammie King-Johnson, Mercyhealth; Liane Mills, Town of Beloit; and Heidi Van Kirk, HealthNet. 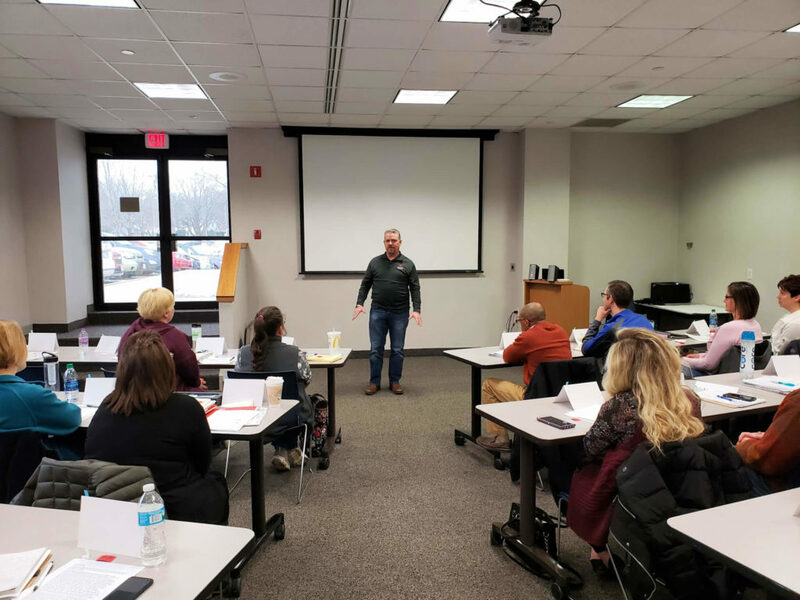 March’s LDA session was all about stepping out of our comfort zones. We started the day with a presentation from Mercy Health staff and learning about the hospital’s history. Biggest takeaways from LDA and how you will use them. What is Rock County’s greatest asset and why? Tips for the class from your profession. Everyone turned these topics into sharing personal parts of themselves, and it was inspiring to hear everyone’s stories. LDA has allowed us to create tight-knit bonds with others in our community that we may have never made otherwise. 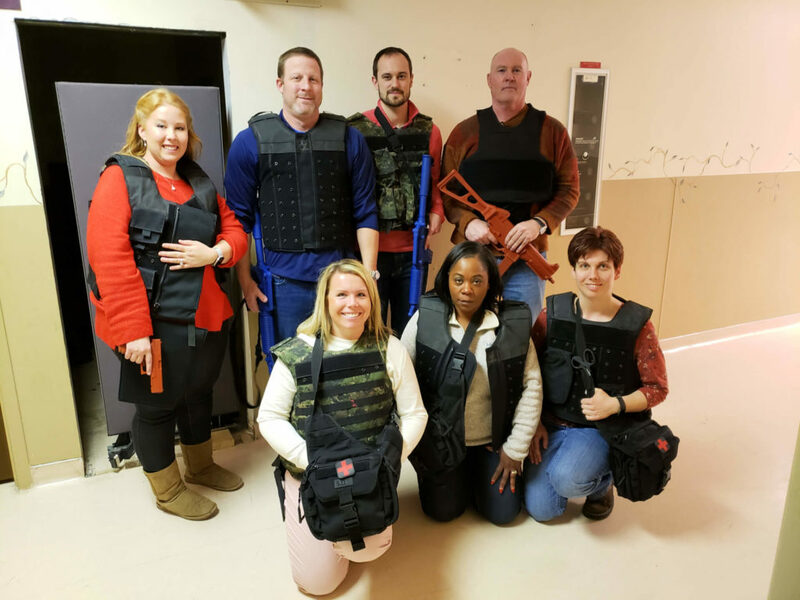 After lunch, we completed an Active Shooter & Casualty Care training in Mercy Tactical EMS Training Center. 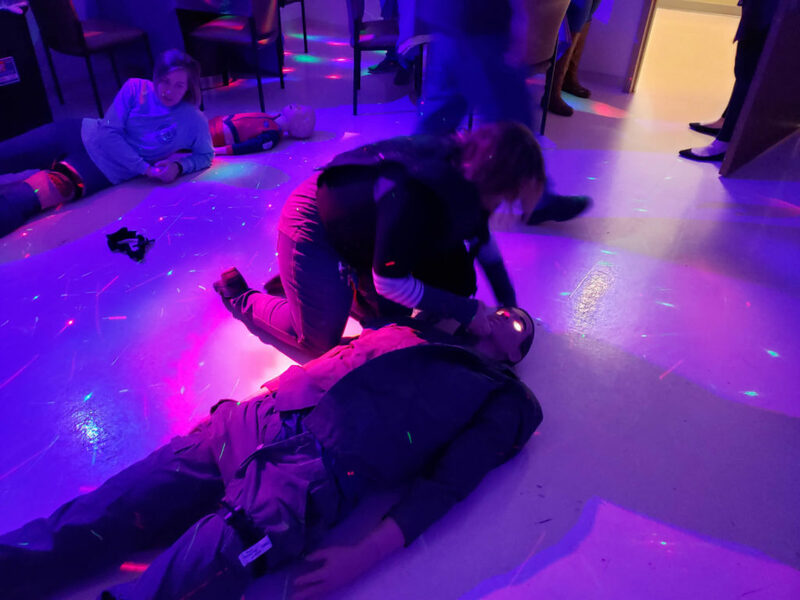 Seeing as most of our cohort does not work in emergency services, this opened their eyes to how first responders deal with a situation like this. 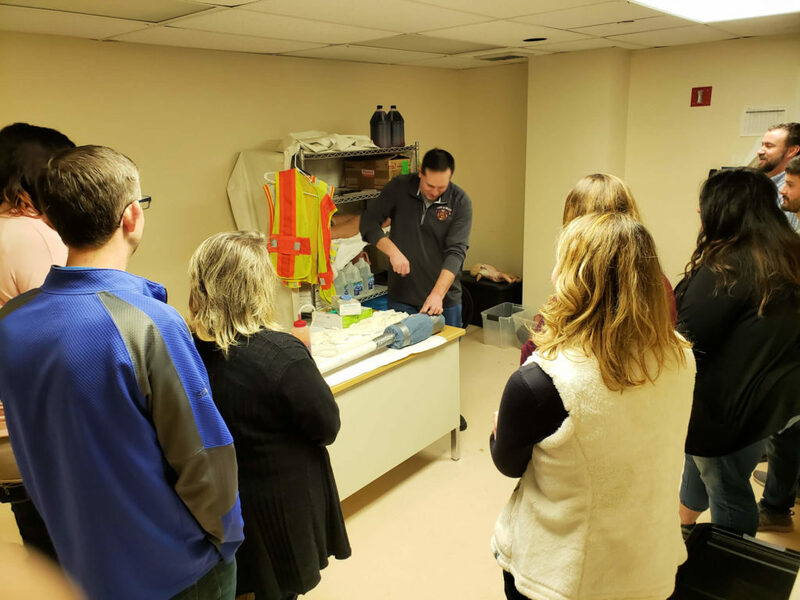 There were different teaching stations which demonstrated how to pack a penetrating wound, use pressure dressings and tourniquets, and how EMS responds with Law Enforcement into an active shooter scene. 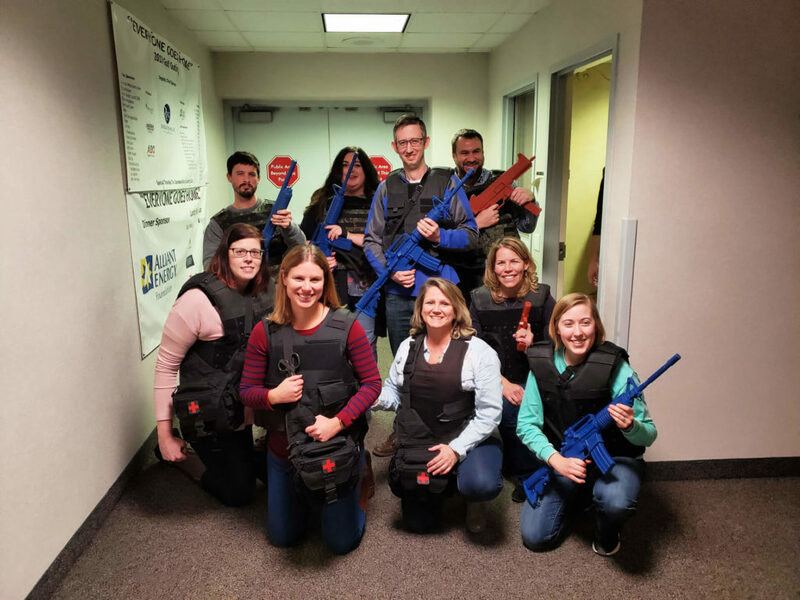 Everyone’s favorite part seemed to be putting on the bullet proof vests and grabbing the prop guns as if they were in Charlie’s Angels! 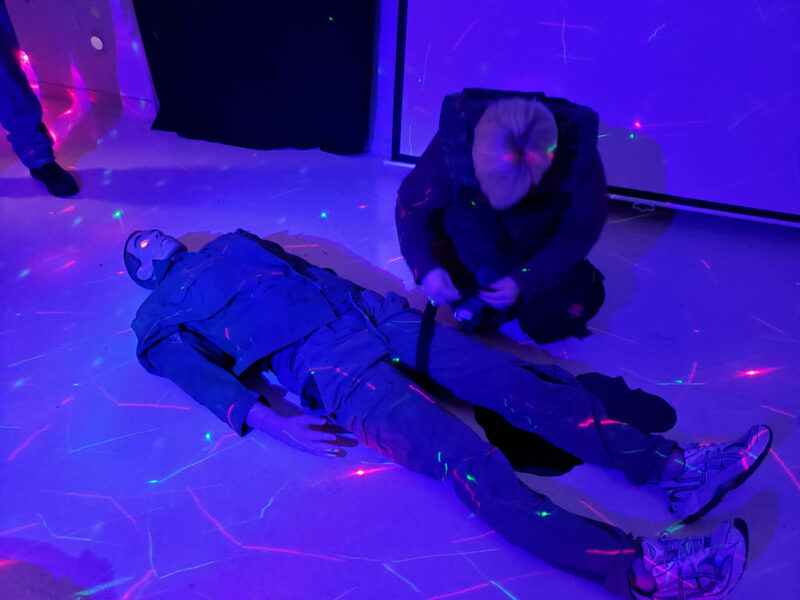 Stepping out of our normal day to day activities allowed us to learn in a hands-on, playful way. LDA is not just learning about the economic resources and local governments in Rock County. It is about culminating and nurturing relationships, learning where you can grow and improve as an individual, and helping others more than we help ourselves. Each session we gain a little more knowledge and a lot more sense of community.